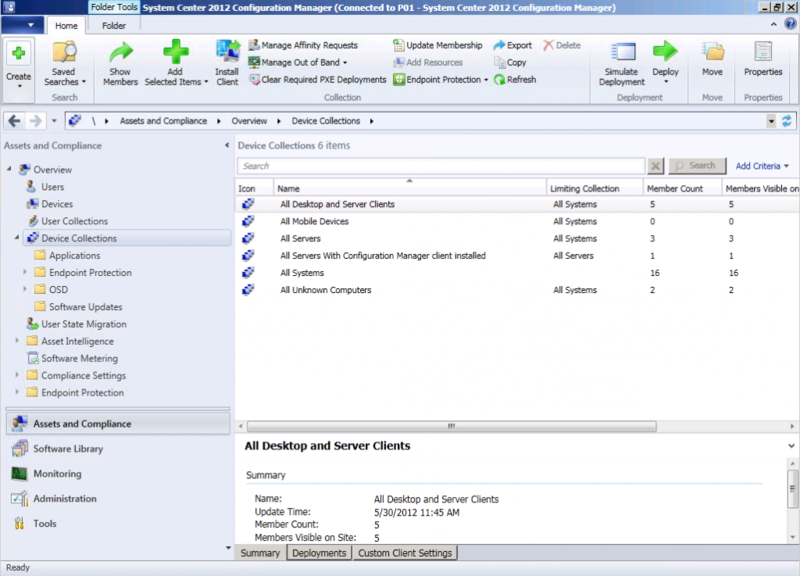 How can I enable Debug View in Configuration Manager 2012 console ? | just another windows noob ? 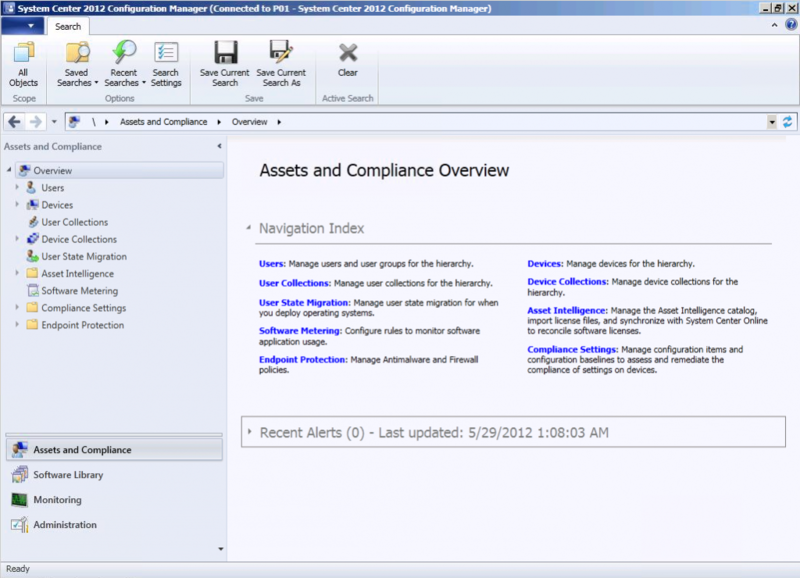 ← oops you deleted the Unknown Computers collection in Configuration Manager 2012 ? 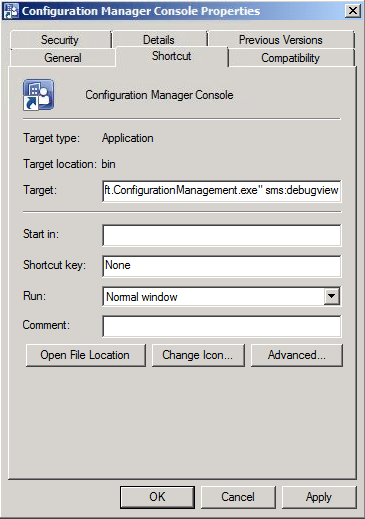 How can I enable Debug View in Configuration Manager 2012 console ? 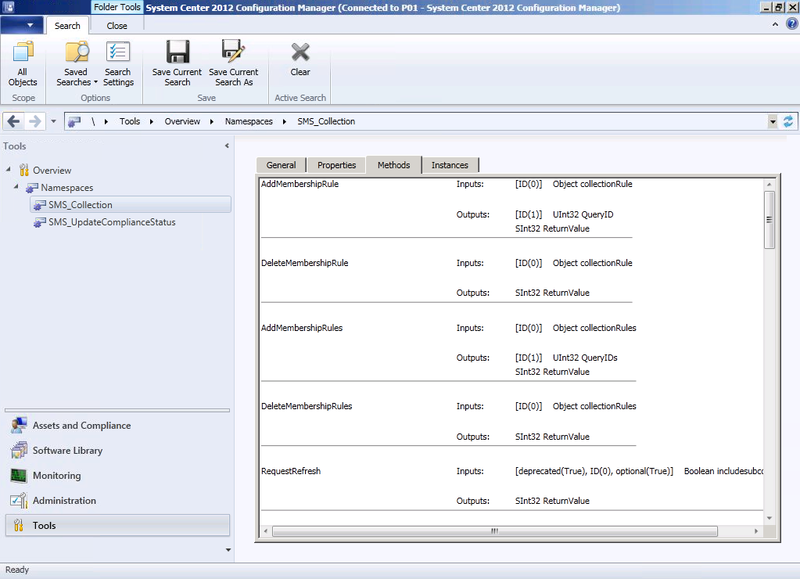 If you were at MMS 2012 you may have seen CD-B330 Configuration Manager 2012: Overview, in there was a demo of the Configuration Manager console in debugview to see SMS Provider classes by adding a new workspace called Tools to the console in addition to the 4 built in ones (Administration, Software Library, Monitoring, Assets and Compliance). 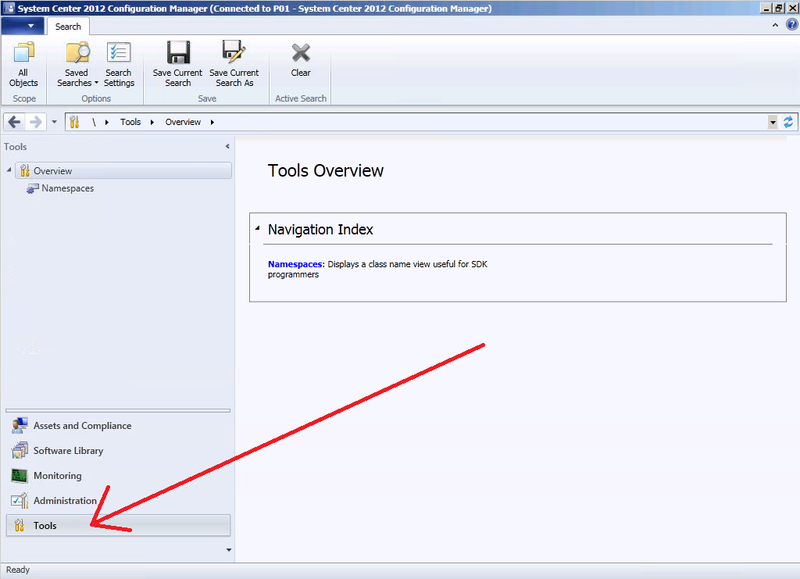 and below that we have a console with the additional Tools workspace. 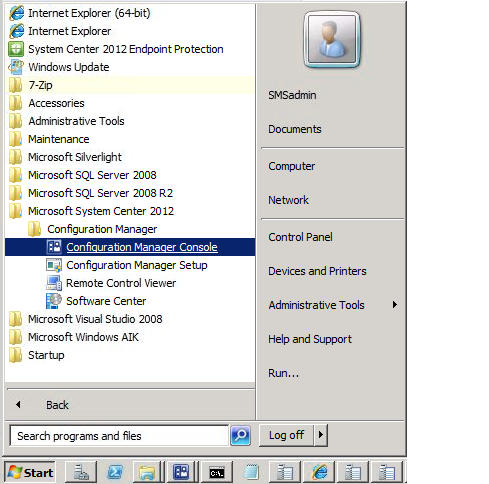 apply your changes or create a new shortcut called Configuration Manager Console with Tools and place that on your desktop. 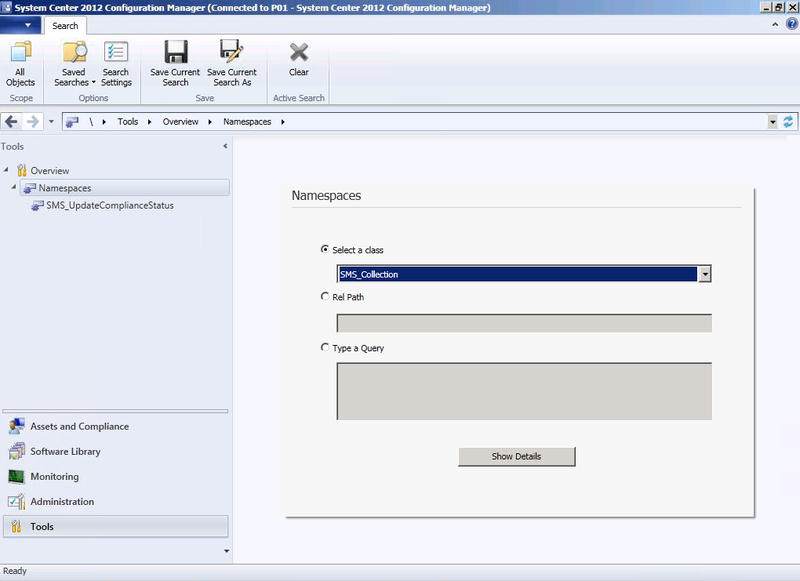 Double click to see the new console option and click on Namespaces now you can click on the drop down menu to select a Class from the WMI Provider, for example SMS_Collection and click on show Details. This will allow you to see the different Properties, Methods and Instances which you’d normally use WBEMTest or similar to view. What else can you do with this ? 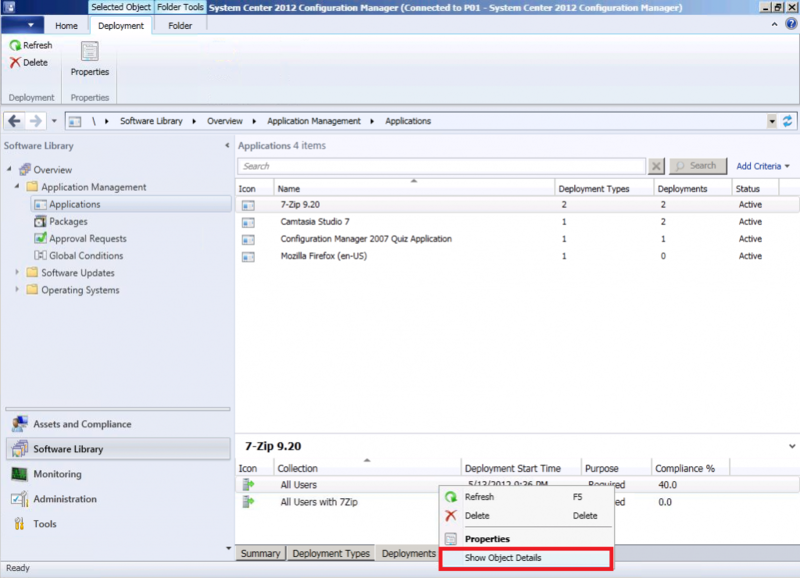 well you can select an Application you’ve deployed for example, and review it’s deployment, right click the deployment and choose Show Object Details. What about Debug View ? you can also select another feature called Debug View (only in certain views, you’ll get a info box telling you it’s not available otherwise). 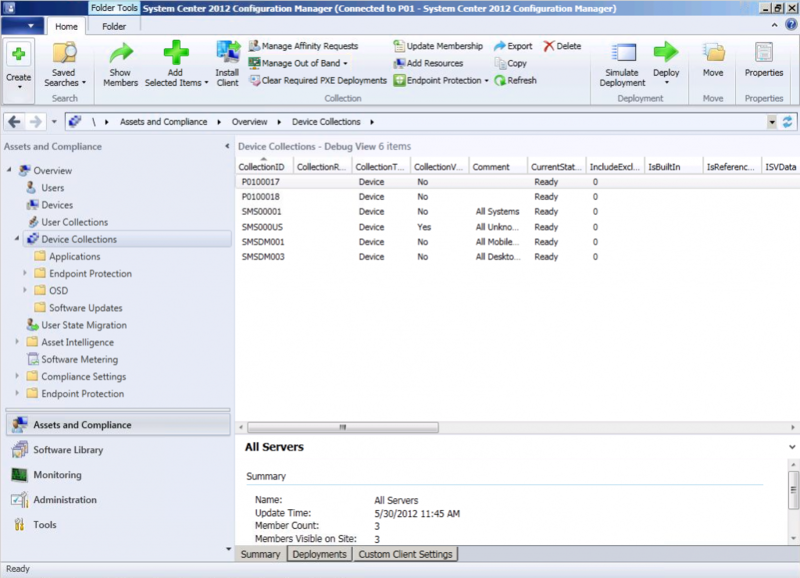 To do so let’s first select Device Collections and see how it looks. see the difference ? you can scroll over to the right to reveal lots of other details. 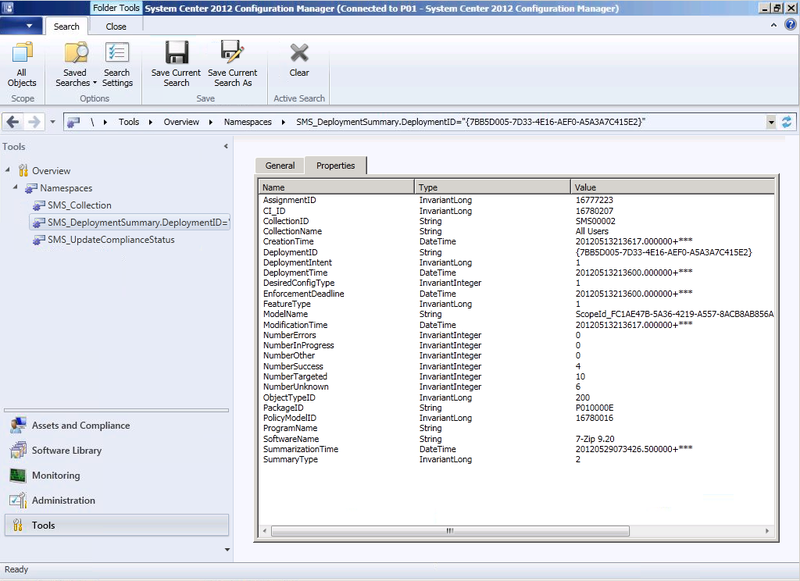 Hopefully you’ll find this new hidden feature useful, if you’d also like to enable Debug Logging then please see this post from fellow ConfigMgr MVP Greg Ramsey. 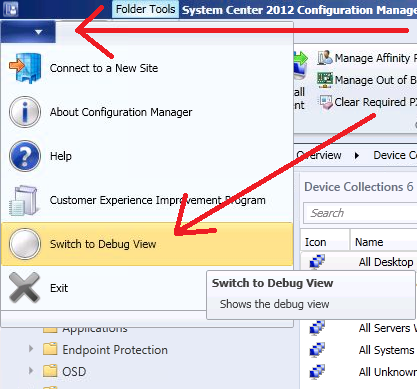 4 Responses to How can I enable Debug View in Configuration Manager 2012 console ?